S Kellogg Stryker was an important stamp dealer and auctioneer and an acknowledged expert in U.S. 19th and 20th century stamps and covers. 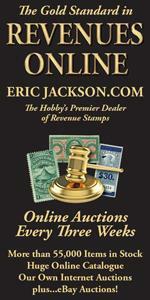 He entered the stamp business in 1928. In 1942 he joined Robert Laurence to form the auction house, Laurence and Stryker, which, between 1942 and 1960, sold many important U.S. covers and postal history. “Kelly” made a number of important discoveries of previously unrecorded U.S. stamps. His greatest find was of the 1923 1¢ Franklin (Scott 596), printers waste from a vertical rotary printing used for sheet stamps. He also found the first unused copy of (Scott 594), the 1¢ Franklin of 1923, printers waste from a horizontal rotary press used to make coils. Both are great twentieth century U.S. rarities. Stryker discovered the one-dollar Presidential issue of 1938 issued on paper watermarked USIR (Scott 832B), and then proceeded to search for more, acquiring some 400 examples. In 1962, Stryker succeeded Winthrop S. Boggs as the second curator of the Philatelic Foundation, serving until 1976, and then continuing as Curator Emeritus for the rest of his life. He received its Mortimer Neinken Medal in 1989. He is also a recipient of the American Philatelic Society’s John N. Luff Award and was installed in that organization’s Hall of Fame. We are grateful to the APS Hall of Fame Committee for the information concerning this legendary member of philately’s commercial community.